When we champion chiropractic care, we consistently mention the central nervous system. For many new patients, this might not mean much (or make any sense). Many people associate chiropractic with bones, rather than nerves, joints, muscles and the brain. We encourage you to learn the basics about the central nervous system, and how it functions to keep our bodies running optimally. 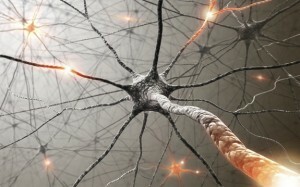 Why is the Central Nervous System Important? We liked the way this article from Natural News describes the central nervous system’s critical role in the human body’s everyday participation in a fight for survival. Your body is working each day to confront a barrage of assaults –free radical damage to your cells, environmental stressors, chemically reactive molecules, and other toxins. The body’s incredible ability to communicate within itself, protect itself, and heal itself keeps us healthy and thriving in spite of these everyday onslaughts of harmful contaminants. The central nervous system is like a governing body that controls all of the channels by which that healing occurs. As Natural News points out, the movement of energy from your brain to your nerve systems is fueled by information collected from receptors throughout your body. The brain relies on a process called “proprioception” –the effective movement of information from those receptors in your muscles or joints all the way to your brain. As you can imagine, we want to pave the way for a fast and healthy flow of information. But this brain-body information exchange can be compromised by nerve stress caused by misalignment and trauma. The accumulation of damage resulting from poor posture, minor injuries and an unhealthy lifestyle can all affect your nerves and stress hormones. As a result, there’s a slight breakdown in communication between your receptors and your brain, and your body’s healing time slows down. A chiropractor’s aim is to restore your central nervous system so that your body is well-tuned to keep healing itself effectually. By re-aligning the spine and reducing nerve pressure, chiropractic care plays a useful role in decreasing your body’s stress. In this way, chiropractic care shouldn’t be conceived of as a treatment. It’s an important therapy that frees your body to take better care of itself. Too often we overlook the body’s innate ability to heal. When our bodies aren’t functioning optimally or healing properly, we see the symptoms rather than the cause. Chiropractic isn’t just treating your symptoms –it’s adjusting your body’s natural systems and structures so they can do their job. To learn more about your central nervous system and how chiropractic can benefit you, book an appointment with Dr. Jennifer Wise! It’s overwhelming caring for a new baby, particularly with so much advice about the best health practices for newborns and infants. One of the reasons we advocate for infant chiropractic is its offer of a gentle preventative care that helps at reducing and improving such a wide range of common infant health problems. Rather than offering up another trick or treatment for a specific infant health concern, chiropractic can be a smart way to support overall development and health in your baby. Here are some of the major benefits of chiropractic care for infants and children. It’s no secret that the importance of chiropractic has much to do with the nervous system. When the nervous system isn’t in optimal condition, its communication channels break down, affecting the health of various areas of the body. The same is true for babies- as they develop, the health of their nervous systems is critical. When the nervous system isn’t able to command the body properly, that biological communication-breakdown can result in a number of symptoms that are common in babies: colic, fussiness, poor sleep habits and difficulty breastfeeding to name a few. We tend to think that babies and children are free of nerve and muscle irritation, but this isn’t always the case. Sure, many lifestyle factors accounting for nerve irritation don’t affect babies (like stress, bad posture and poor ergonomics), but emotional stressors, difficult births and use of forceps during delivery can all affect an infant’s nerves too. In fact, some studies suggest that there’s potential for nerve irritation to the baby while still in the uterus, as a result of problematic movement and positioning. Many babies experience cranial trauma during birth as well. As a result, chiropractic care in early infancy is important to gently encourage proper growth following the physical impact of birth, and to foster healthy spinal and cranial development. Another important consideration: during the first year of your child’s life, the spine is developing faster than at any other life stage, as it shapes and lengthens by 50 percent. It’s best to make sure that your child’s spine is properly aligned and prepared for this major growth spurt. Many parents recognize early infancy as a critically important time for a child’s development. Chiropractic care can offer a gentle, effective course of treatments to best support babies’ healthy growth by both targeting specific symptoms and optimizing overall health. For more information from Dr. Jennifer Wise about chiropractic for infants and children, check out her article on TogetherMoms.ca here. There are many seemingly insignificant, overlooked lifestyle factors that can affect your alignment and physiological wellness. We’ve already mentioned the potential outcomes of practicing poor pillow posture, but what about poor purse posture? Many of us are guilty of it: we wear a purse, bag or computer case without giving proper consideration to its weight and positioning on the body. 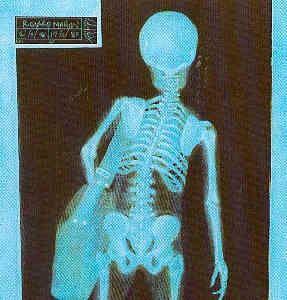 Over time, an overpacked bag can affect your gait, posture and comfort. A heavy purse could also be the root cause of ongoing unidentified neck and shoulder pain. This helpful article from Prevention.com offers some advice about what your purse could be doing for your posture and muscle health- and how you can correct it. Read on for some simple strategies to avoid shoulder bag strain. 1. Switch sides: Chances are you habitually sling your purse over the same arm (likely your dominant side). This is part of the problem- by only wearing your purse on one shoulder, you’re constantly overworking those muscles. Depending on how heavy your bag is, you’re also forcing one side of your upper body to be the load-bearing side, which can affect your gait and mobility. 2. Avoid the crook of your arm: You’ve probably done this one too –stuck your purse strap right in the inside of your elbow. This can cause injury, including tendonitis. It also forces you to hold your arm at a right angle, resulting in more muscle strain and poor circulation. 3. Wear your strap diagonally. Rather than pulling your laptop carrier, bag or purse over one arm, pull it over your head so that the strap is stretched diagonally across your chest. This will distribute the weight of the bag more effectively and result in less of a heavy downward pull on one side- sparing your shoulder and lower back and engaging more of your torso muscles instead. 4. Choose an appropriate carrier or bag. This is an important consideration we’d add to the list. Consider what accessory might better suit you and save you from neck, shoulder and back strain. If you have a lot to pack for a walk to the gym, try a backpack and be sure to wear both straps. For your computer, consider a briefcase or bag on wheels. For an evening out, swap your carry-all for a small clutch. 5. Lighten your load! The last and most obvious solution we offer is to simply take stock of your purse before leaving the house- particularly if you plan to be walking with it for any extended period of time. What can you reasonably leave behind? Remove spare change and roll it at home to exchange for bills. Take out chargers, extra keys and any other heavy objects that you can do without for a few hours. And every few days clean out your purse – you’d be surprised at how much weight accumulates from simple garbage, junk and forgotten items that could be left at home. Fess up: How heavy is your purse? When people experience pain and discomfort, they will often first assume a muscle-related problem such as strain, tightness or micro-tears is responsible. As the Chiropractic Blog points out however, soreness and numbness are also often caused by a nerve-related problem. Without a proper diagnosis and treatment from a chiropractor, the root cause of your pain can go overlooked. What causes nerve irritation and pain? 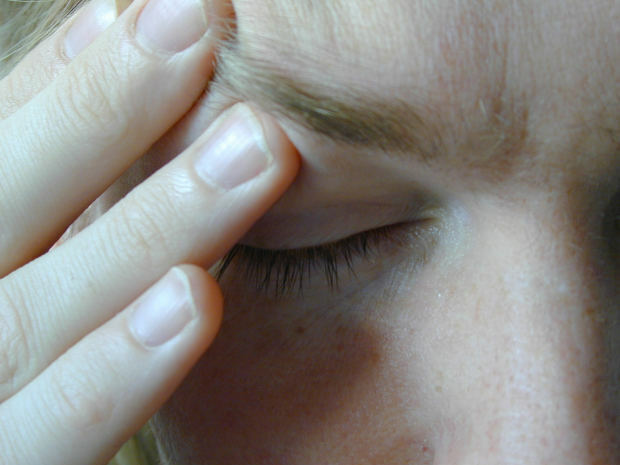 You’re most likely experiencing trapped or pinched nerve fibres. This is one of the most common nerve-related conditions that clients present with. 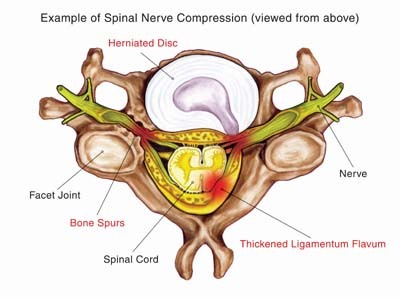 Essentially a nerve in the spine becomes compressed between two bones or discs, resulting in the pinched, tingling or numb sensation you may be familiar with. A chiropractor will locate the trapped nerve and make careful manual adjustments to ease the pressure, realign the discs and free the nerve. Another common condition is a trapped nerve. This occurs when a nerve has adhered itself to surrounding soft tissue, likely as the result of a certain repetitive movement. The motion causes friction between the nerve and nearby muscles or ligaments, creating sticky scar tissue. Consistent muscle contractions can also deprive the nerve of oxygen. Although this could be taking place in your own body for a long time, you might not notice symptoms until the condition has worsened significantly. At the onset of symptoms you don’t want to further delay treatment by mistaking the problem for something else- so don’t assume anything. It’s always best to see a specialized practitioner who can properly identify whether your pain can be traced to a muscle problem, a pinched or trapped nerve, or both. Your chiropractor will use gentle chiropractic adjustments to restore motion to the joints, which will relieve pressure from the nerves and allow muscles to function more effectively and without nerve-related discomfort. It may take several treatments to fully treat the problem, to eliminate pain, and to regain full mobility. Since the site of a compressed nerve is often very sensitive, a chiropractic treatment may be slightly uncomfortable at first. Your practitioner will be gentle however, and you’ll soon find that accurately diagnosing and treating the problem site results in major pain relief. Regardless of whether you have a muscle or nerve problem, it’s important that you seek the right treatment to see lasting results and avoid long-term adverse effects. So how much truth is there to this widely used explanation? Can the way we sleep noticeably impact our comfort and alignment? And what can we be doing to avoid the pains of “funny” sleeping? Dr. Adam Tanase, a U.S-based chiropractor and blogger offers some answers. 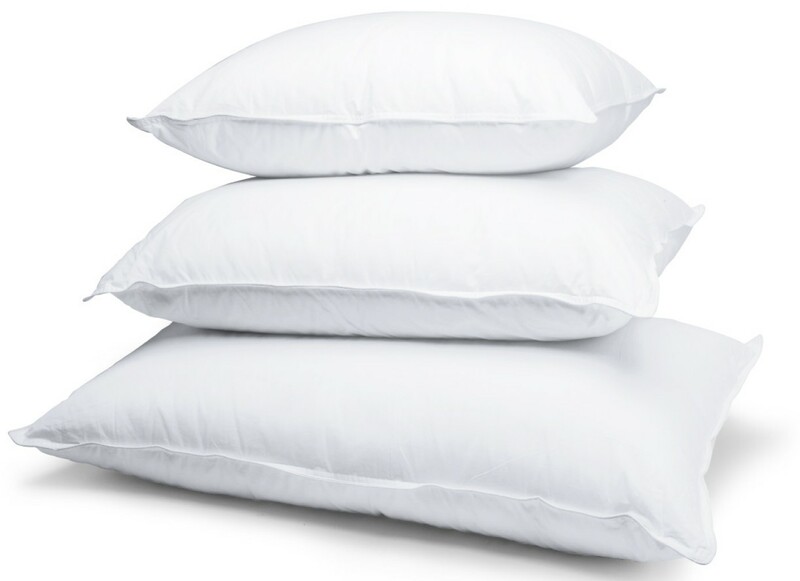 We liked his blog post “How’s Your Pillow Posture?” which does a great job of outlining some of the consequences of poor sleep posture for your spine. The questions addressed in his article are commonly asked by chiropractic patients who suffer chronic back and neck pain. So take note, and if you’re experiencing consistent discomfort when you wake up, consider adjusting your sleep posture. How many pillows should I sleep on? The number of pillows isn’t as important as the alignment of your body. Dr. Tanase is right to emphasize the importance of sleeping with your forehead, nose and chin lined up with your spine. Need a visual? He provides a helpful link here. Usually the optimal neck angle (which is none at all) can be achieved with a single thick pillow. What’s the best sleep position? Similar to his pillow guidelines, Dr. Tanase stresses the importance of sleeping in a position that supports a straight and balanced spine. Sleeping on your stomach is the worst choice, as it puts stress on the supportive structures of the spine, and forces you to twist your head at an extreme angle in order to sleep and breathe freely. If you can help it, opt to sleep on your side or your back instead and remember to keep your body as straight as possible. What damage can I do to my back by sleeping incorrectly? Poor sleep posture can worsen existing irritations and misalignments and can produce noticeable damage over time. Some of the conditions you might suffer include muscle spasm, postural distortion and thinning of your vertebral discs. The side effects will be chronic pain in the back, neck and arms. That sounds like a pretty good reason to adjust your posture to us! On a grim note, Dr. Tanase reminds us these types of spinal decay are irreversible- so don’t delay. Take sleep posture as seriously as you do office ergonomics- just think of how many hours a week you spend positioned for sleep. This gives you an indication of how seriously sleep posture can impact your chiropractic health. Improving your posture and office ergonomics isn’t difficult. With a few minor adjustments and daily habits, you can prevent regular, ongoing mild to severe back pain and muscle strain. Since these are such seemingly minor tweaks to our routine though, often we underestimate their significance and the positive effect they can have on our health. Dr. Sara Solomon’s blog does a good job of quickly summarizing the importance of making posture a priority in the workplace, emphasizing that when sitting at a desk for several hours a day, you should pay special attention to your lumbar lordosis. Lumbar lordosis is a fancy word for the small of your back. You may have heard the term “lumbar support” before, particularly when shopping for a desk chair. Your lumbar lordosis naturally curves inward, unless you’re sitting and slouched forward –in which case that curve is lost. As Dr. Solomon advises, it’s important that you sit up straight to maintain the curve of your lumbar lordosis and avoid lower back pain. Supporting your lower back with the right chair or pillow can help you stay upright and comfortable without much conscious effort. When we slouch –especially for long, uninterrupted work days- it increases the work that our muscles are doing while we’re relatively immobile. Slouching puts a much higher strain on the joints, discs and muscles of the upper body. So when you pull your shoulders forward and move away from the upright support that the lumbar lordosis requires, remember that those lower back muscles are using up more energy to take on the work of supporting themselves. In other words: sore muscles aren’t only a pain; they’re also a drain on your much-needed energy supply. Here’s what you can do to support your lumbar lordosis and avoid lower back pain. Check out Dr. Solomon’s posture correction guideline. Adjust your backrest so that it cradles your lower back. Purchase a lumbar roll or use a rolled towel to offer additional support. Exercise your core to strengthen the muscles of your back. Stretch muscles that get tight, cramped or sore throughout the day. Have a chiropractic assessment to ensure that there are no mechanical issues with your spine that may be contributing to poor posture. As we always advise, remember to take frequent short breaks to stand up, stretch and move around. When you pair poor posture with immobility you’re almost guaranteeing yourself back pain. With these small changes implemented in your daily work life, you can keep yourself upright, supported and content. And remember- a more comfortable employee is a more productive one!